Multifunctional has long been the buzz word in baby and children’s furniture. As parents look to pieces that will have longevity in the home, and more than one use past the fleeting baby stage, they’re looking at spending a bit more to really capitalise on their purchases. Enter designer Alexander Seifried for German company Richard Lampert with his gorgeous Kids Collection range. Above is his Famille Garage, which is intended to turn the former nursery into a workshop. 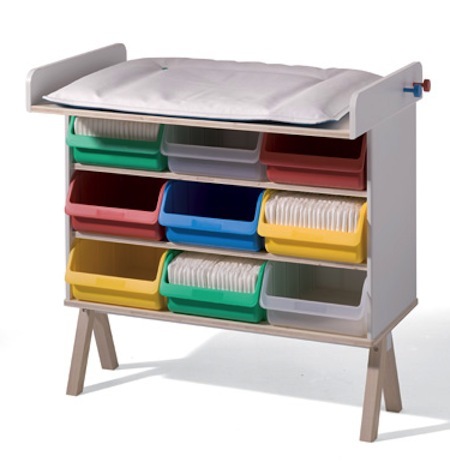 It beautifully converts from the change table below, to storage unit and co-ordinating desk and bench seat. I think this fits with both modern and more traditional spaces – the design seems to seamlessly blend eras, ensuring appeal to a wide audience. 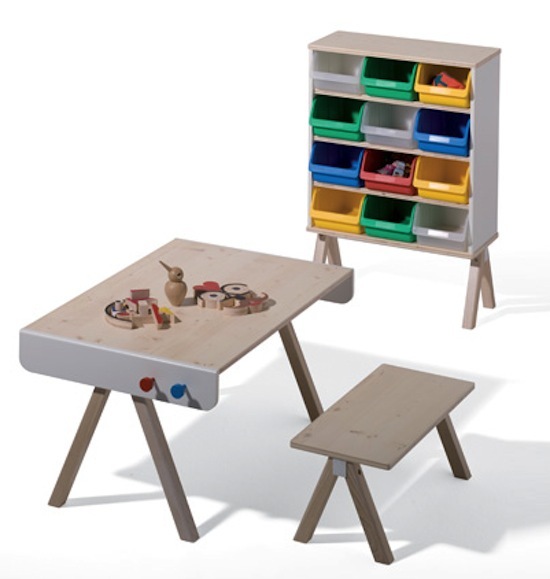 There are more furniture designs for children to thrill design buffs at Richard Lampert.